I am an amateur sommelier. By amateur, I absolutely mean amateur in one of the ways Austin Kleon laid out, "the enthusiast who pursues her work in the spirit of love". (15) I've always enjoyed wine, an interest I think that stemmed from the exploration of a middle school friend's parent's impressive wine cellar; while many others were playing Guitar Hero we were reading the labels of some of the finest wines I will probably ever lay my eyes on (it was strictly observational, I assure you). What was an odd interest for a 13 year old developed into an affinity for many different kinds of wine, and a curiosity about their origins and the distinctive flavors you could extract from a single sip. I'm sure this affinity will never develop into anything more than a hobby, something I love and am passionate about but will never breach amateur status. Austin Kleon's idea of a scenius, almost a haven for people with similar interests reminded me of one of my favorite new apps, Vivino, in which after scanning the front label of a wine bottle you can rate and review various wines, as well as read the rating and reviews of others with similar tastes. It's an awesome app and I encourage anyone who enjoys trying new wines or breaking out of their comfort zone to create a profile! One of my favorite local(ish) vineyards in Asheville, Burntshirt Vineyards. this is actually the coolest hobby, I always wish that I was more into wine and knew what the good stuff is and what's not. And I'm definitely going to check out the vineyards in Asheville. This is such a cool hobby to teach yourself and figure out as you go, just like Kleon says in his book! Hi Lauren-- Thanks for sharing about your (very cool) hobby! Like Kelly said, I've always wished I was more of a wine aficionado, but sadly I usually just grab whatever bottle is on sale at Ingles and call it a day (or, if I'm in Greenville, noting beats Trader Joes $2 Buck Chuck!). 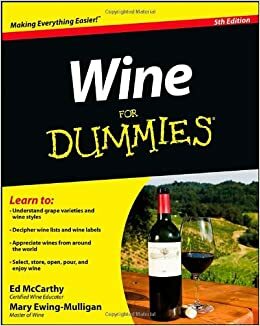 But, I think it's great that you have found a way to connect with other people who share your wine interest, and that app is a great example of a scenius as Kleon describes it. Thanks for sharing the photo too - what a gorgeous place! I really like this post and I think that's suuuch a cool interest. I thought I was a wine lover, but I've never even known about this side of it! Really interesting.